ALFA Tree Services, North Wales is a well established business near to Betws Y Coed, North Wales by Alan 'Ginger' Farrar in 2008. With specialist skills in climbing & rope work and whilst residing within Snowdonia National Park, Arboricultural dismantling seemed a natural progression from 24 years military service, spending most of it operating off the ground. 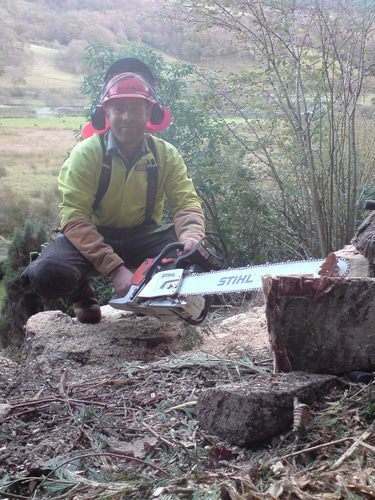 ALFA Tree Services can uniquely operate in most environments with the skills, equipment and the workforce to suit. Staff are selected for individual tasks, utilising specialist skills with ropes and associated heavy duty rigging equipment to ensure the safety of the client, public and property. All staff are qualified to NPTC/City and Guilds/LANTRA to complete any tasks that we offer to clients. 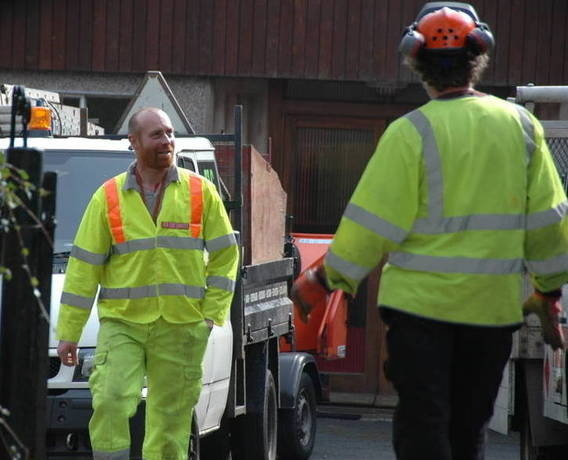 All employee's also hold CSCS BLUE cards for construction related occupations, (Tree Surgeon,Chainsaw,Tree Climbing, Tree and Vegetation Clearance Operative PA1/PA6 AW). We also hold Working at Height and Highway's Work categories. All relevant equipment is LOLER certified and we have our own qualified inspector to carry out the required checks. ALFA Tree Services are fully insured to carry out tree work on the Highway,ground in or over water and at height holding £5million Public Liability and £10million Employers Liability policies. Operating in and around North & Mid Wales we have a varied client base, as well as domestic contracts Alfa Tree Services also carry out repeat work for Snowdonia National Park Authority, Conwy County Council, Gwynedd County Council, Natural Resources Wales (Forestry Commission Wales), RWE Npower renewables, North and Mid Wales Trunk Road Agency, Mostyn Estates, Field Studies Council (Rhyd Y Creau Centre), The National Trust, Amenity Tree Care Ltd, Tree Top Adventures, Crogen Estate and North Wales Police to name but a few.